Should You Renew Your Rental Lease? Staying in the same city doesn’t have to mean staying in the same rental. About three months before your lease is up, your landlord will reach out offering a renewal. 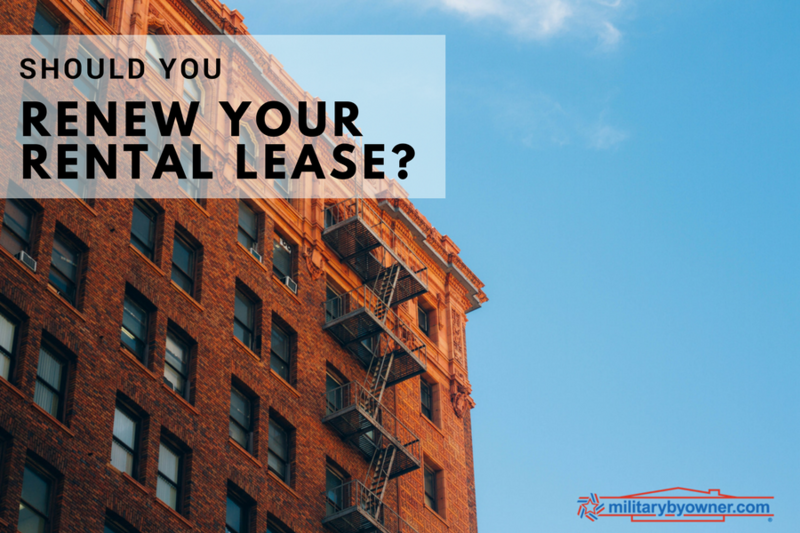 At that point, you’d have 30 days to decide: do you want to renew your lease? Before making a decision, here are 10 questions to ask yourself. 1) Is your landlord responsible? Takes time to make sure every issue is addressed. You should also consider whether your landlord is managing the property in the best way. For instance, is he or she allowing you to pay rent online? If your landlord is relying on checks, you should recommend that he or she consider an online tool like Rentalutions. This will save you and your landlord time if you decide to stay. 2) Is the property well-maintained? Does your landlord go above and beyond to keep the property in good condition? This is true if your landlord is completing tasks like changing the lightbulbs, removing snow, keeping the common areas cleaned, and fixing general issues. If the property isn’t well maintained, then it might be better to find a new home. 3) Are the renewal terms fair? When your landlord offers you a lease renewal, he or she should highlight changes to the lease, specifically the lease dates and rent price. Some landlords only renew on a month-to-month lease. This means that the lease rolls over each month. At any time, either the landlord or the tenant can cancel the lease with 30 days’ notice. This is a great option if you or your landlord are looking to continue the lease for the short-term. It’s also possible your landlord will offer a fixed-term lease renewal, which means the lease dates will be a fixed number of months, whether it’s six months, twelve months, etc. 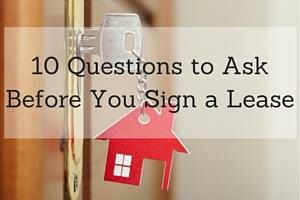 You should also be aware that when the lease is up, you’ll be signing a new lease. This means the landlord can raise the rent price. 4) Is the location still convenient for you? Now that your lease is almost up, this is your opportunity to change where you live. Are you close enough to work, family, and friends? If you prefer somewhere more convenient, then now is the time to move. Or if you love your location, then it may be a great reason to renew. 5) Are you happy with your amenities? Desirable amenities include having in-unit laundry, central air conditioning and heat, a dishwasher, parking, storage space, walk-in closets, outdoor space, and security systems. If you don’t have everything you need in your current unit, it might be worth upgrading to a new property. 6) Do you need more or less space? It’s a good idea to see if you need more or less space for your property. Have you acquired more belongings and now your place is crowded? Or do you have too much space and you’d prefer to downsize? 7) Are you looking to move in with anyone? Or live alone? If you’re looking to not live with roommates anymore or move in with a partner, then now is the time to make a change. Renewing your lease will likely lock you in for another year, so it’s worth taking the time to examine your priorities this year. 8) Can you afford to move? If you’re considering moving out, then you should weigh the pros and cons of moving. It’s usually stressful to move, not to mention expensive. 9) What time of year is it? Peak rental season occurs in the summer, which means you’ll have an easier time finding a new place between May and September. If your lease is up in the middle of the winter, you might have a hard time finding a great property. 10) What are rent prices like on the market? Before deciding if you want to renew, it’s worth checking what rent prices are like in your area. Often, staying in your lease offers you the best price. This is especially true if your landlord isn’t raising the rent price with your renewal. Check online rental listings for prices to understand prices in your current market. If you move forward with a lease renewal, you should let your landlord know. The next step will be signing a rental lease. If you’re not looking to renew, then the next step is letting your landlord know and then finding a new apartment. Author Bio: Avail is the only end-to-end tenant software that helps tenants find their next home, sign leases, pay rent online, and manage maintenance. Join the thousands of tenants across the U.S. that are already saving time managing their rental experience online.